52% Brexit (out of the EU), 48% Remain and 29% abstentions. Jeremy Corbyn, the leader of the Labour Party, called for a Remain vote (‘Remain and Reform the EU’ was his actual slogan). Statistics show that between 6 and 6.5 million Labour voters chose to vote Remain. This is a sizeable slice of the 16 million who voted to Remain; there is no reason to blame the Corbyn campaign therefore, for a lack of ‘Remain’ results in some Labour areas. 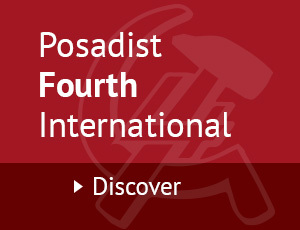 A large layer of non-Labour (but left-wing people) – intellectuals, academics, liberals, Greens, as well as progressive petit bourgeois, journalists, artist and employees – also voted Remain. Many abstentions came from workers unwilling to choose between the EU frying pan and the Brexit fire. Considering that the Brexit option was an absurd and dangerous gamble – and not even believed-in by its own proponents – the reasons for a Brexit vote in workers’ areas must be inspected. First of all, this referendum supposedly ‘about the EU’ became a referendum ‘about immigration’. Then the strong Brexit view of some trade union leaders and communist parties left some very deprived areas exposed to UKIP’s petty nationalism. Finally, the working class is angry after 7 years of devastating cuts imposed by Tory policies, as part of global capital, European capital included. And all this in the more-than-frustrating conditions of the Labour councils actually managing the Tory cuts against the workers’ jobs, housing, benefits and means of life. The de-facto originators of the EU referendum were UKIP and the right wing Tories. Now that they achieved ‘Brexit’ and the fall of Cameron, they simply reshuffle the Tory ministers; their pro-business and anti-working class policies continue. Osborne’s plan for corporation tax at 15% is acceptable to all Tories. Won’t this tax cut for the multinationals be financed by those who labour? The other good result for the bourgeois class is that their referendum has split the country in two. A divided country is easier to rule. The teachers and Junior Doctors are more resolute and coordinated than ever, as part of a growing working class determination to stop privatisations and the austerity cuts. A strong wind of socialist change blows over the Labour Party. The capitalist class responds with divide and rule, because it has only repression on offer. This keeps the ruling class united. The growth of UKIP (extreme right wing) expresses the opposition (and incapacity) of the capitalist system to serve humanity. As the multinationals crush what is left of the national bourgeoisies, the latter sprout violent movements of chauvinist resentment and xenophobia. The UKIP “breaking point” poster served to blame immigrants for what should be blamed on the banking racket. Around this, dangerous concepts have emerged, like ‘the native English’ and the ‘let’s retake our country’ [from the foreigners that stole it]. This can only be overcome by working class power. Attacked by the bourgeois class on all sides, and by the right wing of his own Labour Party, Corbyn’s ‘Remain and Reform’ campaign, i.e. Reform the EU, hardly reached the public. But he insisted that each EU country should feel responsible for its quota of refugees. He said that all disaster survivors “have the right to move to better areas” and he promised, in his own words: “to legislate an anti-austerity package, which we need on a European scale”. The emergence of this honest and immensely popular leader shows that the working class and its allies are pushing for social change against the capitalist measures (like austerity) that deny the right to life. The Conservatives surmount their divisions by attacking the social rights of the future EU migrants working in the UK, for instance. The fact that Brexit reinstates a border between the two parts of Ireland does not trouble them over-much. 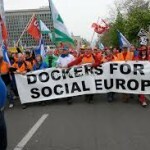 The capitalists can always sort out their differences – and this applies on the European scale – as long a they can increase their exploitation of the exploited. But the divisions in the Labour Party are not differences. These are growing class divisions. 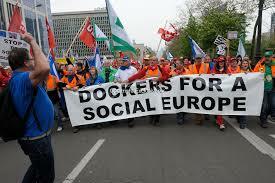 The European economy needs planning, but due to competition, capitalism is incapable of it. To put the EU and UK economies at the service of human need, competition must be fought against and defeated, and only the working class can do this. Widespread working class rebellion against austerity encourages the Labour Party to enter the struggle. This gives confidence to the Corbyn leadership; but the Labour sectors who only wish to ameliorate capitalism reject this struggle, and are alarmed. 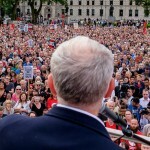 Most of the 172 Labour MPs who tried to oust Corbyn from the Party’s leadership agreed with the bourgeois media that Corbyn’s Remain campaign had been insufficiently energetic in working class areas. In short, the bourgeois class blames Corbyn for having found a way to turn the ‘Remain and Reform’ train away from the rails bound for Purely Capitalist Europe. Not bad for an incapable man! The divisions between the Tories are contradictions, but those in Labour pull the Party away from its bourgeois submission to parliamentary power. The seriousness of Corbyn for his ‘Remain and Reform’ campaign shows in his campaign speeches that officialdom did not hear because it did not want to hear them. Corbyn said, among other things: “I will legislate an anti-austerity package, which is needed on a European scale”. How this is to be done must now be discussed in the Left of the Labour Party, the working class and the trade unions. 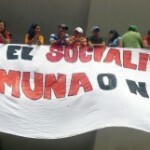 This is not the whole road to socialism, but it makes a start in a socialist direction. 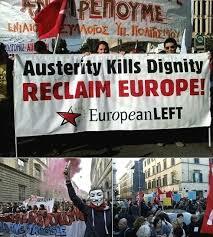 The UK population needs a Socialist Europe.